CLOSEOUTS. 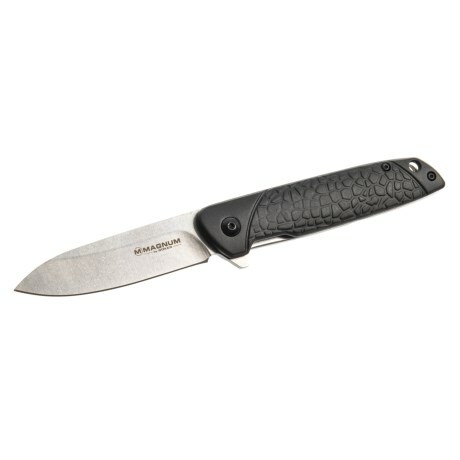 This flat-folding Magnum by Boker Alligator Toast knife is a useful, stylish blade for everyday carry with an alligator-textured handle and 440A stainless steel blade. Available Colors: GREEN, BLACK.